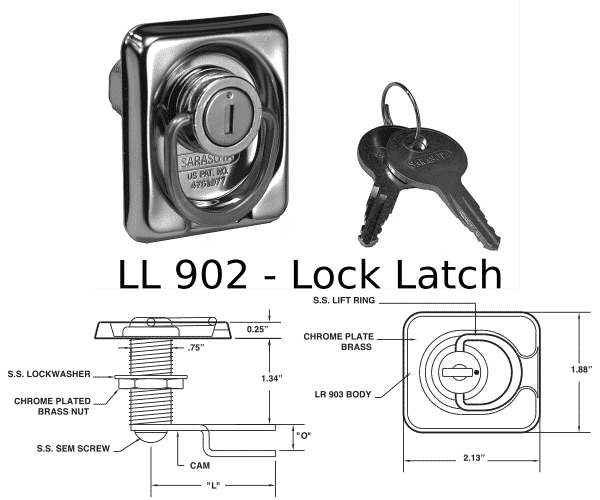 The LL 902 is a dual function lock latch. The key can be turned 180 degrees to unlock it. 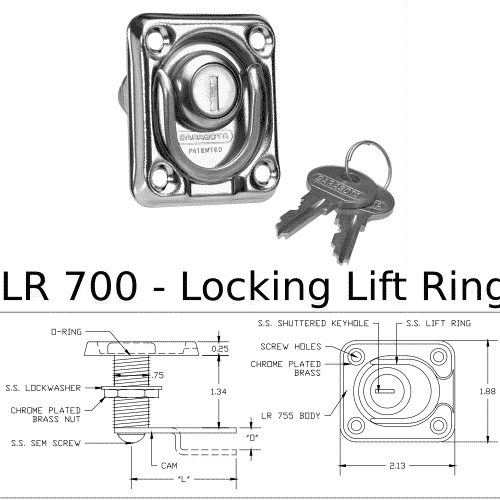 While in this unlocked position the lock can be used as a latch throughout the balance of the time in use. 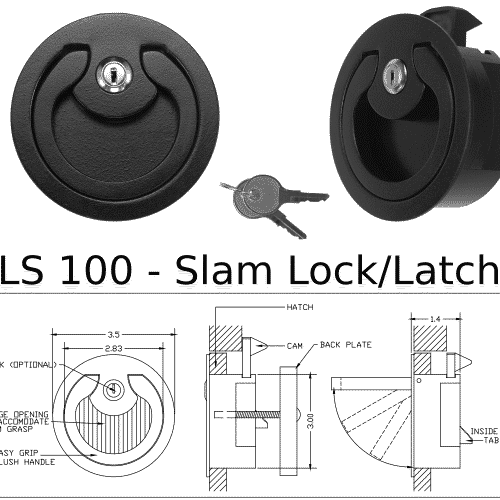 The lock can then be re-secured by turning the key back 180 degrees after usage. Arrow shows direction cam is pointed. 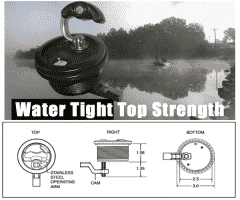 A 2″ straight cam will be sent unless otherwise specified in a note to seller. 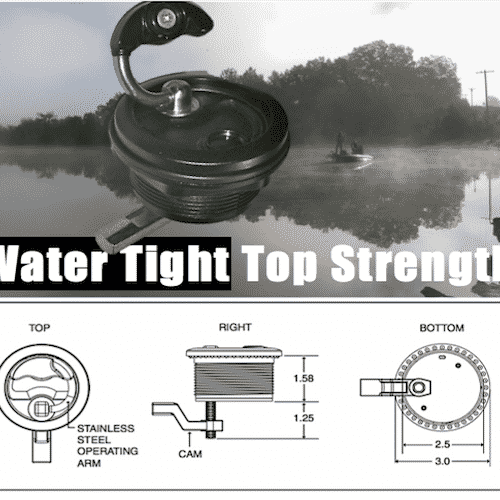 View available CAMS page for this product. Locks to individuals will be keyed alike unless otherwise noted to a note to seller.